First things first - PLANTS, PLANTS, PLANTS. Indoor plants are the easiest way to upgrade your home’s look. Not only are the lush green colors appealing, but the variety of plant textures allow you to customize your space to your style. Hit up your local Lowe’s or Home Depot to explore your plant options. PRO TIP: Don’t have a green thumb? Not to worry! 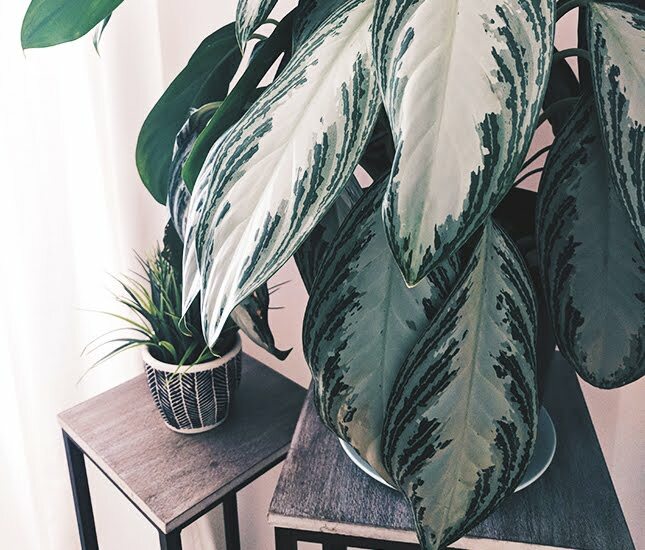 These indoor plants are literally the easiest plants to care for: Snake Plants, Chinese Evergreens, and Aloe Vera. This next home item is one of my favorites because of how easy it is to incorporate it into your home’s space. Picture frames come in all shapes, sizes, and colors and are a simple way to instantly upgrade your space. Use them to create a gallery wall, fill in shelves on a bookcase, or simply showcase your favorite photographs. 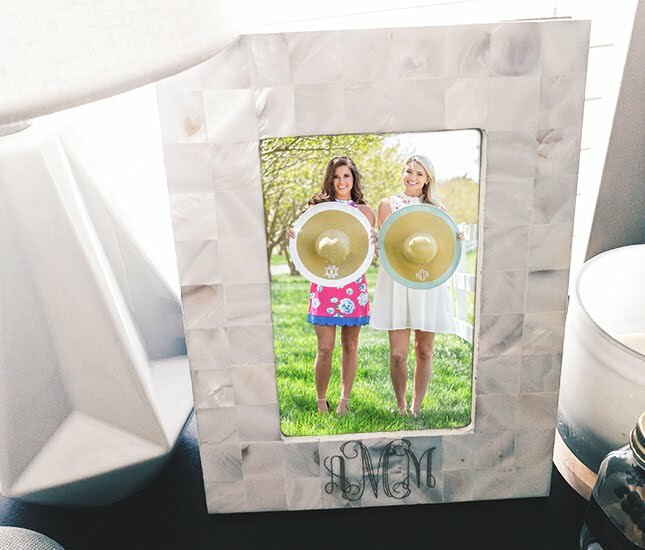 PRO TIP: Add a personalized touch to your picture frame decor with a Monogrammed Picture Frame. Makes the perfect keepsake or gift! Next on my list - throw pillows! Not only are throw pillows comfy (who’s ready for a nap, am I right? ), they are also easy to replace every season to keep your home’s look updated and fun! Just look for inexpensive pillow inserts at Ikea or Amazon and pair them with a different pillow cover for every season! My favorite shop for pillow covers is H&M and my favorite shop for all-in-one throw pillows is Target. 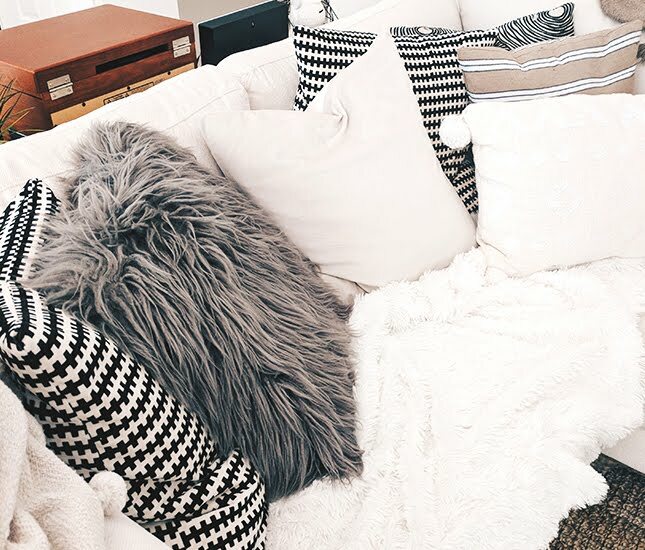 PRO TIP: Don’t be afraid to mix in throw pillows of different sizes, shapes, and fabrics to add extra dimension and wow factor to your space. A newer trend, but quickly becoming a favorite - Himalayan salt. Himalayan salt is super cute decor and goes with virtually any decorative style! From your bedroom to your kitchen, Himalayan salt is a great way to revitalize any spot in your home. They are sold in a variety of shades and shapes making each a unique decorative piece! Search for Himalayan salt on Amazon for the best deals. 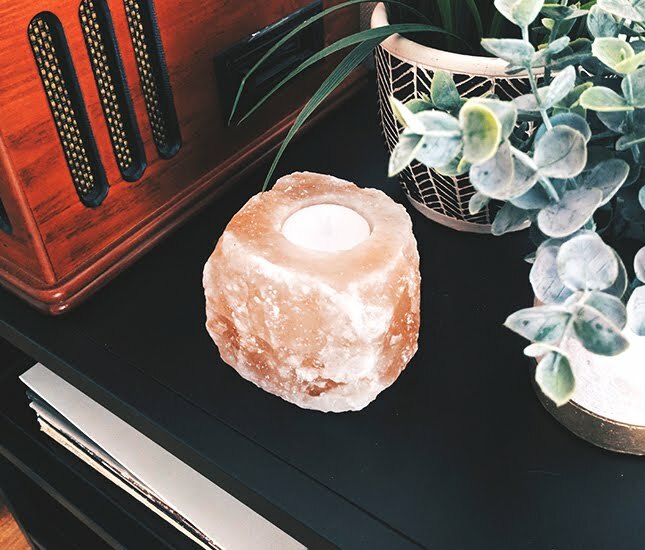 PRO TIP: Himalayan salt comes in a variety of forms, my favorites for quick and easy decorating are candle holders and lamps! Last (but certainly not least) - Turkish Towels! 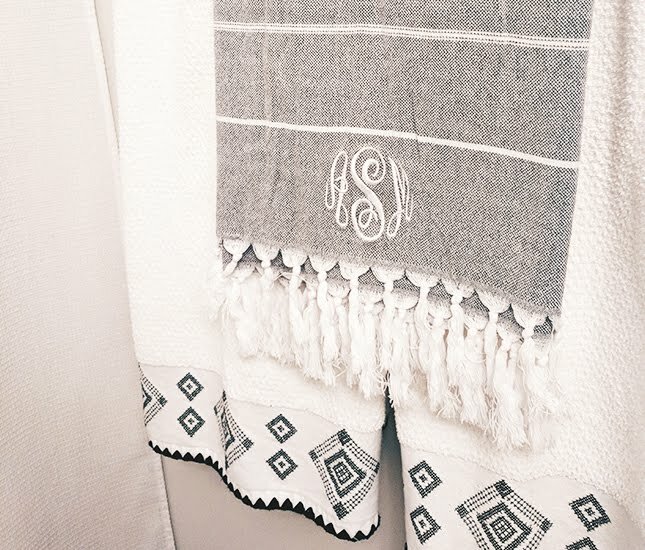 Whether you’re going for a modern look or a shabby chic look, a Monogrammed Turkish Towel is just what your bathroom needs for an inexpensive and quick upgrade. These towels are generally sold in neutral shades making them perfect for any color scheme! PRO TIP: Because these towels are a little thinner than a normal towel, layer them on top of a fluffier set for a fuller look. 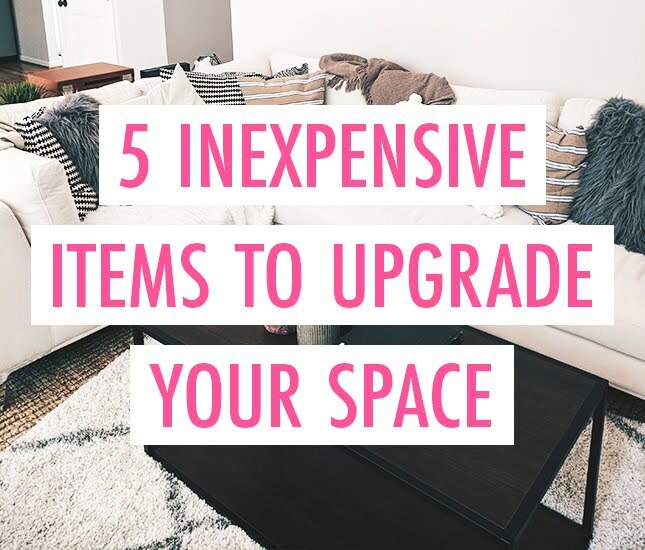 Let us know your favorite inexpensive decorating tips in the comments! Target is the BEST for throw pillows! Book decor is also fun to play with!